Disney’s Boardwalk shops, restaurants, and resorts are among our favorite on Disney property. If you are looking for free things to do at Disney World, the Boardwalk is a great option! Be sure to read our other articles in this Complete Guide to Disney’s Boardwalk Series. In this Disney Boardwalk review let us introduce you to Disney’s Boardwalk Street performers. This is a free event at Disney that you don’t want to miss. Schedule an evening dinner on the Boardwalk after a day at Epcot enjoying dinner in one of their fine restaurants like, The Flying Fish. Then take a stroll down the Boardwalk and through some of Disney’s Boardwalk shops. True to it’s throwback theming of a 1920’s Coney Island Boardwalk, you will find street performers, ice cream shops, and pretzel stands. Stay long enough and you can even enjoy the fireworks from both Epcot and Hollywood Studios. Many visitors to Walt Disney World are acquainted with visiting Disney Springs for shopping and entertainment outside the parks, while Disney’s Boardwalk is the lesser known of the two but every bit as much fun and is perfect for an evening stroll after a relaxing meal or a park free day at Disney. While strolling along Disney’s Boardwalk, step into Thimbles & Threads to browse Disney merchandise, women’s and children’s apparel, including Official Disney Pins for that oh so fun Pin trading in the parks. Screen Door General Store also has Disney merchandise, grocery, and sundries items. Disney Character Carnival is a fun shop carrying Disney golf merchandise, as well as accessories, and Disney character merchandise for the whole family. The most unique and fascinating of the Disney Boardwalk shops is Wyland Galleries tucked away in the corner near the entrance of Boardwalk Inn. With small kids, we didn’t linger, but these beautiful pieces of Disney art are a sight to behold. You can also find additional shops in the Swan & Dolphin and Beach and Yacht Club Resorts. As you stroll along the boardwalk taking in the sights (and maybe an ice cream cone) you will find two or three different entertainers doing magic tricks, miming, and other comedic acts to entertain and enthrall the guests. These Disney Boardwalk street performers are such fun. On this particular night, one of the entertainers selected my eldest son for his performance, which proved to be quite a comic act! We were laughing hysterically as he and my younger son interacted with the street performer. Watch as my kids get into the act so much so that it almost seems as if it were scripted. These entertainers are on the Boardwalk between the hours of 6:30 and 10:30 pm and really add such fun to a night out with the family or a romantic date night on the Boardwalk. Speaking of date night, if sing alongs or dancing are more your style, you can check out Jellyrolls for some crazy dueling pianos (guests must be over 21 years of age to enter) or get out your dancing shoes and cut a rug at Atlantic Dance which has DJ’s and music on select nights. In addition to the nightly entertainment, you can also view the fireworks at both Hollywood Studios and Epcot. Speaking of entertainment, have you heard about the “secret” (Shhhh) Disney character meet and greet at Hollywood Studios? Go here to learn about the Character Palooza and how to meet rare Disney character without entering a park. In our previous Disney dining reviews, we mention Flying Fish in our as earning the only restaurant I have ever booked twice at Disney World. This is because my bucket list is so long, but it is that good in our humble opinion. You can read in more detail about some of these restaurants in that review, but just to give you an idea of the sheer vastness of restaurant choice available at Disney’s Boardwalk here is the list. My family often enjoys dining in one of the over 40 restaurants on the Boardwalk and strolling the classic wooden promenade on our visits to Walt Disney World Resorts, Orlando, Florida. My family always enjoys a special dinner at the Flying Fish when visiting WDW. In fact, we celebrated my youngest son’s third birthday there. You can reach the Boardwalk on foot if you are in Epcot by exiting Epcot’s International Gateway. You can also take a friendship boat at International Gateway exit or from Hollywood Studios. Buses will drop you at Boardwalk Inn where you can then walk through the lobby area and out the back onto Disney’s Boardwalk. Most recently, the new Minnie Van service has service to the Boardwalk. Of course if you are fortunate enough to stay at the Disney Boardwalk in one of the resorts, even better! Here a few quick tips for saving over 60% off the normal rack rates of these Disney Deluxe Hotels. 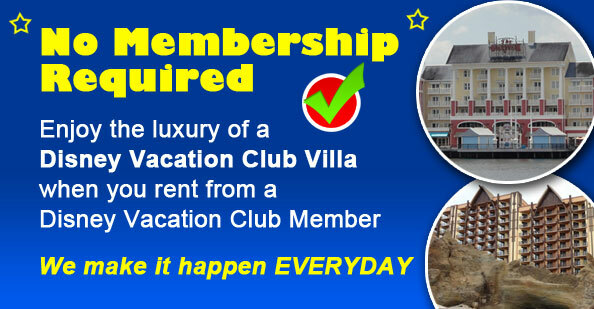 For more information on how to significantly save at on property resorts read this post. One word of caution should you choose to drive your own vehicle. Disney Boardwalk Parking is quite limited! Some people will just park at Epcot and walk through the park, but of course, this only works if you have park tickets and were planning a visit to the park anyway. While you can park for a limited time at the Boardwalk or Beach & Yacht Club resorts, it may be necessary to do through Valet Parking. In the past limited self parking was available, but with the recent changes to overnight fees for self parking even for resort property guests, we are not sure if this option will still be available. We actually parked at the Swan & Dolphin without any problems, so that might be a possible option for self parking. If at all possible, we recommend just using one of the previously mentioned Disney transportation options. That keeps the evening free of any charges outside of any Disney Boardwalk shopping or dining you may choose to do. 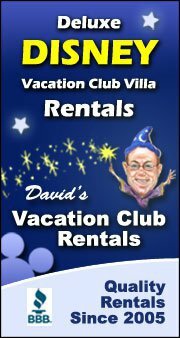 Looking to stay near Magic Kingdom? Read our other Disney Resort Reviews, like this one on Disney’s Polynesian Village. Disney Boardwalk hours of operation for the Boardwalk shops and dining varies by season and location. However, most merchants are open until 11:00 pm. As previously mentioned, the Disney Boardwalk street performers can be seen between 6:30 pm and 10:30 pm. The Boardwalk is really a hidden gem at Walt Disney World. Many visitors are not aware it exists, but for those of who do, it is a special place. Don’t forget to read our other Disney Boardwalk reviews. We were laughing so hard (as you can tell from video) it’s definitely a memory maker!